GAROWE, Puntland- The government of northeastern region of Puntland, released a press statement on Tuesday, accusing Somali Federal government troops of supporting Galmudug troops’ aggression in northern Galkayo, Garowe Online reports. On Monday, Galkayo city, the regional capital of Mudug region has witnessed renewed clashes between Puntland and Galmudug forces, with causalities reported from both sides. 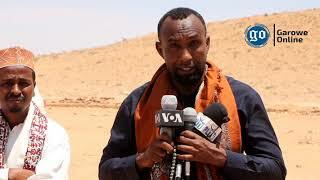 “It was on October 9, when Galmudug leader stated that Galkayo city will come under the control of his administration, and then on October 10, Galmudug militias with the support of Somali National Army (SNA) carried out attacks in Galkayo,” read the statement. 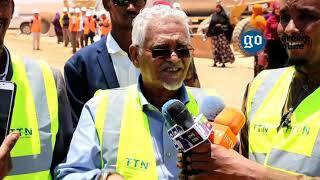 Puntland government also accused Federal government of fueling the tensions between the two regions by delivering military consignment to Galmudug administration in Adado and south Galkayo. It also noted that Galmudug militias used heavy artillery against civilians in northern Galkayo, which resulted in civilian causalities and destruction of properties. Puntland stated that the recurrent unrest situation in Mudug region is intended to disrupt the Somali elections expected to be held later this year. 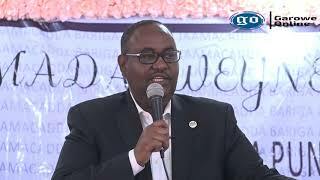 Last week, Puntland government stated that Galmudug authority in coordination with Al Shabaab militias carried out revenge attacks against civilians in Galkayo. 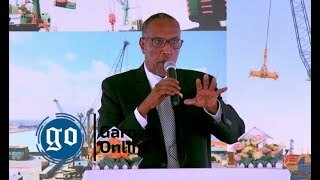 The warring administrations have recently fought over disputed areas in Mudug region, following the collapse of bilateral peace deal in December 2012. Since the overthrow of the country’s central government in 1991, Somalia plunged into riven clan rivalries and Islamists insurgency. 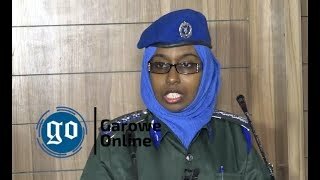 GALKAYO, Puntland- A fierce fighting between forces loyal to Galmudug and Puntland has flared up in Galkayo city on Sunday, less than a week after a peace agreement was brokered by UAE between the warring administrations, Garowe online reports.